Application: Following the application of Triton Surface Cleanser, Triton Anti-mould Emulsion can be used as a primer for new or porous surfaces (thinned up to 10% with clean tap water). Allow primer coat to dry thoroughly. Apply two coats of Anti-mould Emulsion using a brush or roller, allowing sufficient drying time between coats. Coverage: 10-12m2 per litre but an extra allowance should be made for rough or porous surfaces. Drying Time: Touch dry in one hour and re-coatable after 2-4 hours. Colours: Brilliant White and Magnolia. Pack size: 2.5 litre (as a kit with Triton Surface Cleanser) and 5.0 litre. Health and safety: The product is approved under the Control of Pesticides Regulations 1986 for use as directed (HSE No. 6308). 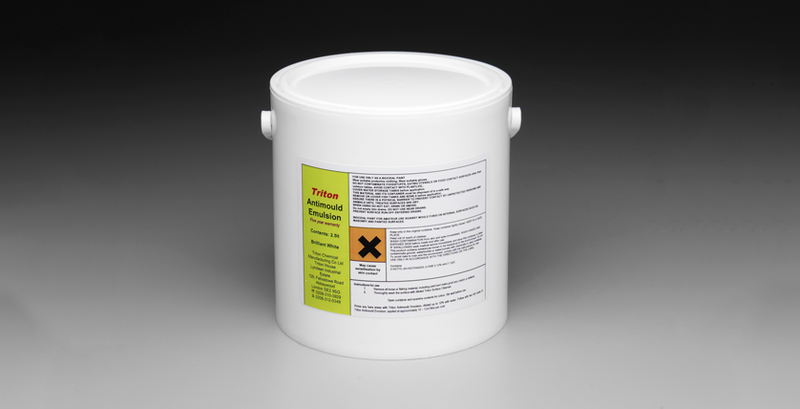 In use it is very similar to conventional high quality emulsion paint.